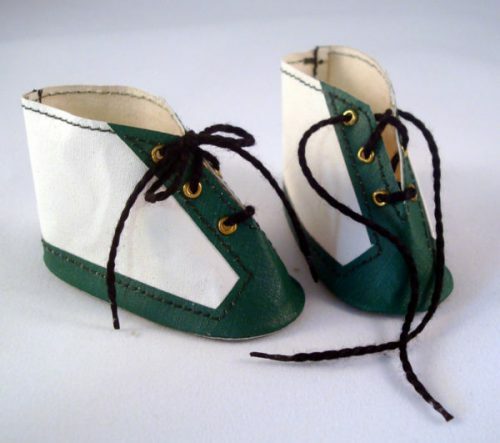 I copied an original pair of Vintage Doll Booties to make these baby moccasins. They are roomy, so the fat baby feet will fit inside them and the ribbon ties make these baby mocs fit perfectly. 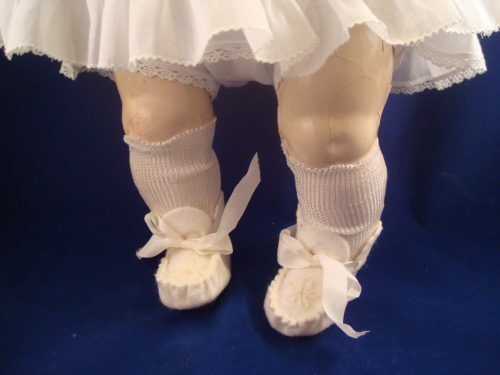 Many antique and vintage baby dolls once wore baby moccasins in this same style. 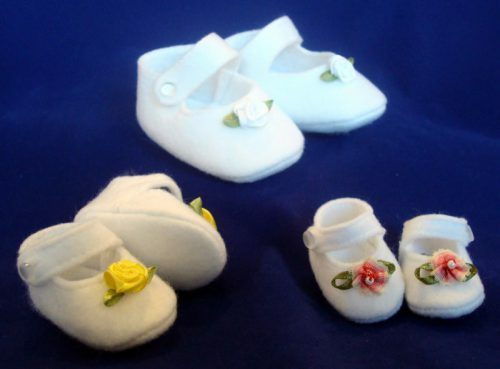 These baby moccasins are available in white or ivory/cream in wool felt, leather, or oilcloth. My favorite is the wool felt as they are so soft. 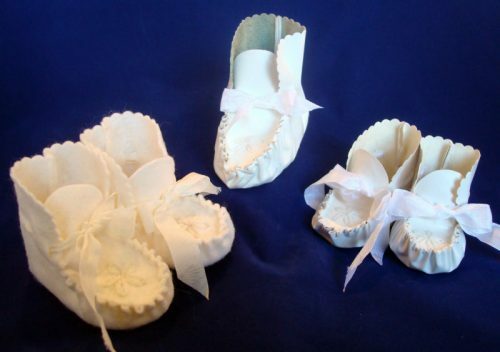 These Vintage Doll Booties have a ribbon bow, scalloped top edge and a stitched daisy on the toe. This style was used on many of the antique baby dolls and composition babies. 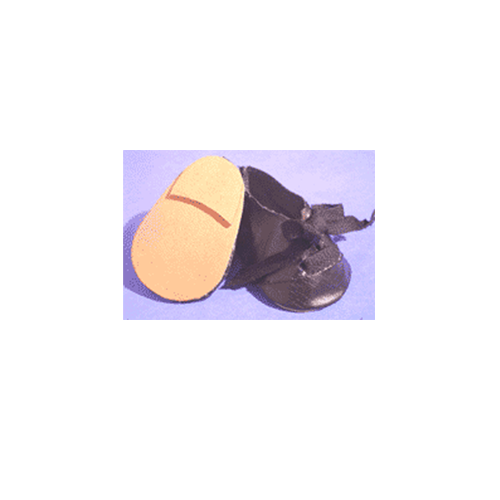 Measure your dolls foot with a sock on, if your doll will be wearing socks, then choose a size that is a little larger. These are roomy, so there is some play with the size.